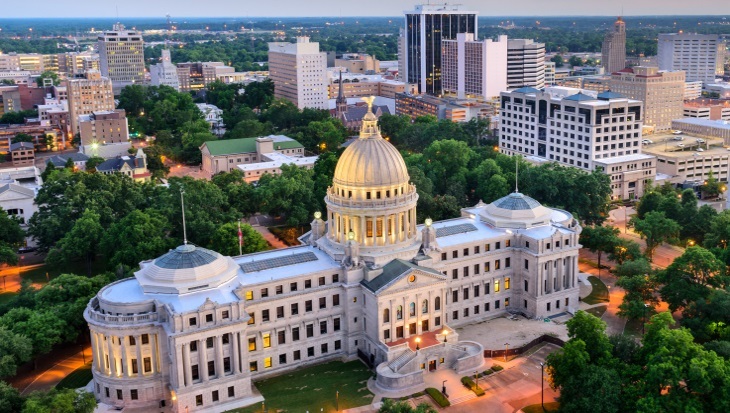 Mississippi lawmakers are currently reassessing their 2017 fiscal year budget after “a staff error” led to a revenue overestimation of $56.8 million. As The Associated Press has reported, Mississippi Treasurer Lynn Fitch announced the 2017 budget, set to go into effect on July 1, is unbalanced after the error caused legislators to overestimate how much money the state would collect in tax revenue in the upcoming year. Fitch cautioned that the mistake could have an impact on the state’s credit standing, in addition to necessitating a revision of the current budget. While Mississippi lawmakers recently announced an agreement on a state budget proposal, some of the details – including how much the state will borrow from creditors and whether a tax increase will be added – are still being debated. According to a report from the Jackson Free Press, House Appropriations Committee Chairman Herb Frierson and Senate Appropriations Committee Chairman Buck Clarke announced the new budget would trim an addition $73 million in spending from earlier drafts. Though the deadline for lawmakers to agree on issuing bonds or changing tax policies in 2017 has already passed, the House of Representatives passed two placeholder bills to give members more time to debate these points. “The House was not going to compromise an important position just for the sake of putting together a bill at the last minute,” Rep. Trey Lamar told the Free Press, noting many House members want to borrow more funds to support higher education. Despite current low tax revenue for the state, the Senate included a $575 million tax reduction bill in its proposal. The bill included phasing out the business franchise tax over eight years, cutting income taxes and lowering self-employment taxes by around $10 million. However, the House has been pushing back on many of these changes, arguing for an effective date of Jan. 1, 2018, so as not to have to adjust funds in the 2017 budget. Though many details of the state’s budget are still being finalized, lawmakers have made some cuts already, including approximately $8.3 million from the Mississippi Department of Mental Health. As The Clarion-Ledger reported, the department will have to cut 30 beds from its psychiatric services, as well as its male chemical dependency program, which treats substance abuse disorders. The state will be closing the Acute Medical Psychiatric Service unit at its hospital in Whitfield, which treated patients with major mental disorders or medical conditions that required close monitoring. Additionally, the five-bed psychiatric wing at South Mississippi State Hospital outside Hattiesburg, which treated patients with serious mental illness, will also be closed. According to DMH spokesperson Adam Moore, with the defunding of the male chemical dependency program, there will no longer be state-operated substance abuse treatment beds available for male patients. State-certified providers will be available for residential services for these patients, and some of these care providers will offer sliding payment scales for low-income patients. As the Ledger noted, Mississippi’s mental health services have experienced numerous funding cuts over the last several years. More than 500 beds have been removed from psychiatric services at the state’s two largest hospitals, and 36 beds were removed from DMH-run nursing facilities.The Mississippi Adolescent Center for youth with intellectual and developmental disabilities was closed in 2010, as were several early intervention programs for infants, toddlers and young children with disabilities. Attorney General Jim Hood told the Ledger that the cuts to the state’s mental health services should be considered a public safety crisis. All told, DMH state funding for fiscal year 2017 has been reduced by about 4.4 percent. Decreases in state revenue lead to tough decisions for lawmakers. While deficits often require cuts to state services, decreases in funding can have a detrimental impact on state employees and citizens. As lawmakers navigate the difficult decisions that must be made when balancing state budgets, they need comprehensive tools that can offer insight into how budgetary changes affect residents’ lives. Budgetary mistakes can add further difficulty to negotiating situations as they may undermine previously settled compromises or decisions. Questica’s all-encompassing public sector budgeting solutions offer a flexible alternative to time-consuming and ill-fitting processes, such as inefficient or inaccurate spreadsheets. With specific platforms to manage capital and operating budgets, as well as performance-related metrics, Questica provides increased insight into state financials while boosting transparency and communication that can reduce errors. Questica’s streamlined platform includes tools for unlimited, multi-year budgeting that enable states to see the impact of hypothetical budgets years or decades down the line. With salary- and benefits-tracking tools, departments can easily see how budget cuts will affect their staffing needs. Through configurable reports, performance measurement and multi-user real-time access, Questica facilitates knowledgeable planning for any size organization. States working to balance their budgets should contact Questica today to learn more about web-based, configurable budgeting solutions.